When I’m not playing Monster Hunter, I’ve been trying to get back into Yakuza 0. I’m about to begin Chapter 10 and the pieces are all finally coming together. With 17 chapters total, I wasn’t sure when all this was going to intersect. 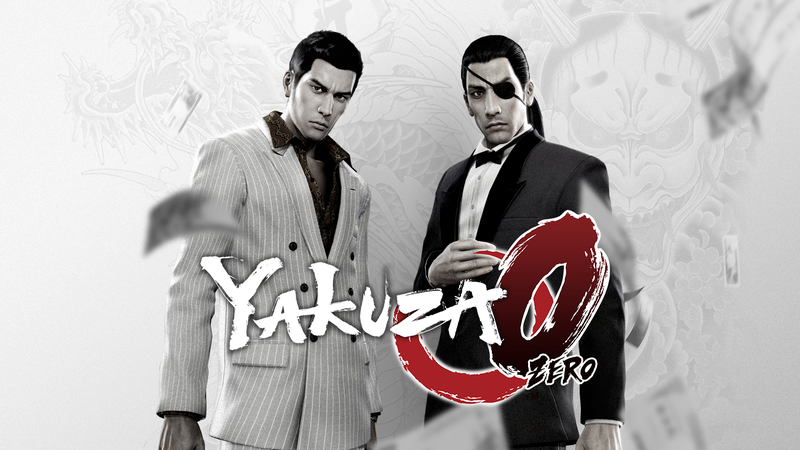 In case you didn’t know, the game gives you two protagonists, both with their own story paths in completely different cities, building a narrative of their respective hell within their yakuza ties. And then, the overlap was supposed to happen: a merging of the story lines that will bring them together. I am now seeing all that but I haven’t progressed to see them meet just yet. During the course of the game at this point, there have been tiny crossovers between both. There’s a radio mini game where each protagonist, Majima and Kiryu, can send in their letters of crazy stories to be read on air. It’s fun seeing how one protagonists’ actions affects the other. There’s also exchanging money to each other via an investment situation. Had I known I, as Majima, was going to be so successful in that cabaret mini game—the most addicting thing ever and I’m happy to report I’m the number one cabaret club owner in Sotenbori—I would have sent money to Kiryu. He’s struggling right now, the poor guy. His fighting styles are weak because I just don’t have money to spend on him. I’m trying to do the real estate mini game with him but it’s just not as compelling. I’m gonna suffer some beatings on the streets of Kamurocho. More than usual, I mean. What’s your favorite video game character introduction? For instance, Majima had a cool fight scene to introduce him. There was a live band to score it and everything. What’s your favorite crossover or Easter egg in a video game? If you could place your favorite character from one game into another, who would it be, which game, and imagine what they’d be doing to integrate into that world. If this is too much thinking, I don’t blame you. So let’s talk about the last day of February and how you’ll be spending it. And why the poor 29th gets shafted this year.